Bank of America complaints number & email. Get verified information about Bank of America complaints email & Phone number. If you need to complain regarding any aspect of the Bank of America products and service, then call the complaints line on 1 (800) 432-1000. The company operates a structured complaints procedure should an initial phone call prove unsuccessful in resolving your issue. Bank of America provide a range of complaint handling options on their website. The first step is to phone the complaints line on 1 (800) 432-1000. Alternatively, local branches are geared to help their account holders and deal with complaints so a personal visit is an option. Customers can use an online form to make a written complain online, and there is a postal correspondence option. There is a summary on the website of how Bank of America will handle your complaint and what communication to expect. The Bank of America is an American multinational investment bank and financial services company. Bank of America was formed through NationsBank’s acquisition of BankAmerica in 1998. It is the second largest banking institution in the United States, after JP Morgan Chase. Its primary financial services revolve around commercial banking, wealth management, and investment banking. Hopefully, We helped you to get some genuine records for Bank of America Complaint information. 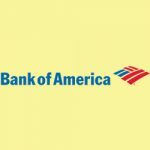 Use below complaint form to discuss problems you have had with Bank of America, or how they have handled your complaints. Initial complaints should be directed to Bank of America directly. You can find complaint contact details for Bank of America above.